Firewalls are among the most effective computer security systems that secure and protect your home or office personal computers and networks against hackers, malicious codes and intruders. These also protect your equipment from any offensive software that usually resides on your computer system. In these days where online security concern is the top priority of most computer users, Firewall just gives you the protection and safety you need from a wider internet. Firewalls are known to be a hardware device or software program that can filter all traffic flowing into your personal computer or network via the internet connection. They also sift through the flow of data and block those harmful networks that get inside your computer. When firewalls are connected to an internet, even standalone personal computer or interconnected computer networks make it much easier to target unscrupulous hackers and malicious software. With firewalls, these can offer the best protection and security that make you less vulnerable. Using a firewall can reduce the impact of a ransomware or malware attack. Firewalls will be set up into your internet connection that subjects the entire data flow to a detailed and careful monitoring process. They can also be tuned properly to follow some certain rules. These rules highlight security rules that can be set up by your own or by professional administrators. These allow certain traffic towards web servers, telnet servers, FTP servers that give a computer administrator or owner an immense control on the flow of traffic that comes in and out of the network or system. Firewalls in this type of mechanism assume the recipient role. In return, these send it to a node that has requested the data or information and vice versa. In this firewall mechanism, instead of examining the entire information located in the packet, they mark some key features in outgoing requests and check for the same matching characteristics in it. After that, they may decide if the information that comes through is relevant or not. 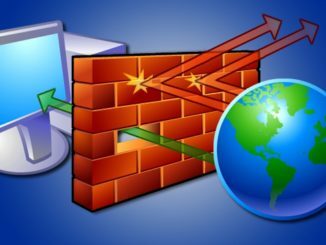 Firewalls have their essential role to play in protecting your personal computer or network from wider internet hackers, intruders and all unwanted incidents. With the benefits that these can offer, it is not surprising to know that more people these days choose to have their firewalls to secure and protect necessary data and information they have.